2019 Audi A6 3.0T Prestige Black 4-Zone Automatic Climate Control, ABS brakes, Alloy wheels, Audi Advanced Key, Audi Phone Box w/Wireless Charging, Audi Side Assist w/Pre Sense Rear, Audi Virtual Cockpit, Bang & Olufsen 3D Premium Sound System, Cold Weather Package, Compass, Contrast Stitching on Door Armrests & Knee Bolster, Convenience Package, Electronic Stability Control, Front dual zone A/C, Front Seat Ventilation & 4-Way Power Lumbar, Headlight Washer System, Heated Auto-Dimming Power-Folding Exterior Mirrors, Heated door mirrors, Heated Front Seats, Heated front seats, Heated Rear Seats, Heated Steering Wheel, Illuminated entry, Low tire pressure warning, Matrix Design Headlights w/Highbeam Assist, Power moonroof, Power Rear & Manual Rear Side Window Sunshades, Premium Plus Package, Radio: Audi MMI Navigation Plus w/MMI Touch 10.1, Remote keyless entry, Top View Camera System w/Virtual 360 View, Traction control, Warm Weather Package. We invite you to join our family here at Lujack Luxury Motors here in the Quad Cities when considering your next purchase. We have been servicing the greater Davenport, Bettendorf, Rock Island and Moline area for over 50+ Years. We offer a wide range of new and Certified Pre-owned vehicles at our location, as well as a wide selection of quality used to Muscatine, Clinton, Silvis, and East Moline luxury shoppers. No matter what type of vehicle you are looking for, you will find something that suits all your needs at your Cedar Rapids, Iowa City, Dubuque dealership. Our experienced team of Sales Professionals, Finance Managers, Service Advisers, Certified Technicians and Parts Specialists are here to make your car buying experience as stress-free as possible. We can only be #1 by keeping you #1! Thank you for taking a look at this vehicle offered exclusively at Lujack Hiline of the Quad Cities. Please call for availability on this unit before you visit - reach us directly at 563-265-0725 to speak with a representative today. 2019 Audi A6 3.0 Firmament Blue Metallic We invite you to join our family here at Lujack Luxury Motors here in the Quad Cities when considering your next purchase. We have been servicing the greater Davenport, Bettendorf, Rock Island and Moline area for over 50+ Years. We offer a wide range of new and Certified Pre-owned vehicles at our location, as well as a wide selection of quality used to Muscatine, Clinton, Silvis, and East Moline luxury shoppers. No matter what type of vehicle you are looking for, you will find something that suits all your needs at your Cedar Rapids, Iowa City, Dubuque dealership. Our experienced team of Sales Professionals, Finance Managers, Service Advisers, Certified Technicians and Parts Specialists are here to make your car buying experience as stress-free as possible. We can only be #1 by keeping you #1! Thank you for taking a look at this vehicle offered exclusively at Lujack Hiline of the Quad Cities. Please call for availability on this unit before you visit - reach us directly at 563-265-0725 to speak with a representative today. 2019 Audi A6 3.0 Mythos Black Metallic We invite you to join our family here at Lujack Luxury Motors here in the Quad Cities when considering your next purchase. We have been servicing the greater Davenport, Bettendorf, Rock Island and Moline area for over 50+ Years. We offer a wide range of new and Certified Pre-owned vehicles at our location, as well as a wide selection of quality used to Muscatine, Clinton, Silvis, and East Moline luxury shoppers. No matter what type of vehicle you are looking for, you will find something that suits all your needs at your Cedar Rapids, Iowa City, Dubuque dealership. Our experienced team of Sales Professionals, Finance Managers, Service Advisers, Certified Technicians and Parts Specialists are here to make your car buying experience as stress-free as possible. We can only be #1 by keeping you #1! Thank you for taking a look at this vehicle offered exclusively at Lujack Hiline of the Quad Cities. Please call for availability on this unit before you visit - reach us directly at 563-265-0725 to speak with a representative today. 2019 Audi A6 3.0T Prestige Gray 4-Zone Automatic Climate Control, ABS brakes, Ambient Interior Lighting Plus Package, Audi Active Lane Assist w/Emergency Assist, Audi Adaptive Cruise Assist, Audi Advanced Key, Audi Phone Box w/Wireless Charging, Audi Side Assist w/Pre Sense Rear, Audi Virtual Cockpit, Bang & Olufsen 3D Premium Sound System, Cold Weather Package, Compass, Contrast Stitching on Door Armrests & Knee Bolster, Convenience Package, Driver Assistance Package, Dual Pane Acoustic Glass, Electronic Stability Control, Front dual zone A/C, Front Seat Ventilation & 4-Way Power Lumbar, HD Matrix Design Headlights w/Highbeam Assist, Headlight Washer System, Head-Up Display, Heated Auto-Dimming Power-Folding Exterior Mirrors, Heated door mirrors, Heated Front Seats, Heated front seats, Heated Rear Seats, Heated Steering Wheel, Illuminated entry, Interior Protection Package, Low tire pressure warning, Matrix Design Headlights w/Highbeam Assist, Open & Close Power Trunk, Power Closing Doors, Power moonroof, Power Rear & Manual Rear Side Window Sunshades, Premium Plus Package, Prestige Package, Radio: Audi MMI Navigation Plus w/MMI Touch 10.1, Remote keyless entry, Top View Camera System w/Virtual 360 View, Traction control, Traffic Sign Recognition, Warm Weather Package. 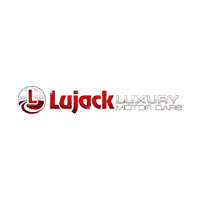 We invite you to join our family here at Lujack Luxury Motors here in the Quad Cities when considering your next purchase. We have been servicing the greater Davenport, Bettendorf, Rock Island and Moline area for over 50+ Years. We offer a wide range of new and Certified Pre-owned vehicles at our location, as well as a wide selection of quality used to Muscatine, Clinton, Silvis, and East Moline luxury shoppers. No matter what type of vehicle you are looking for, you will find something that suits all your needs at your Cedar Rapids, Iowa City, Dubuque dealership. Our experienced team of Sales Professionals, Finance Managers, Service Advisers, Certified Technicians and Parts Specialists are here to make your car buying experience as stress-free as possible. We can only be #1 by keeping you #1! Thank you for taking a look at this vehicle offered exclusively at Lujack Hiline of the Quad Cities. Please call for availability on this unit before you visit - reach us directly at 563-265-0725 to speak with a representative today.